NYC, 03/06/2019, 7:00PM. 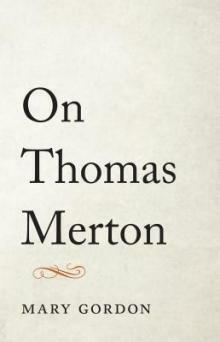 On Thomas Merton: Celebrating a Modern Thinker. From the best-selling novelist and memoirist Mary Gordon, a deeply personal view of her discovery of the celebrated modern monk and thinker through his writings. This is a probing, candid exploration of the man who became the face and voice of mid-twentieth-century American Catholicism. Approaching Merton “writer to writer,” Gordon illuminates his life and work through his letters, journals, autobiography, and fiction. Pope Francis has celebrated Merton as “a man of dialogue,” and here Gordon shows that the dialogue was as much internal as external—an unending conversation, and at times a heated conflict, between Merton the monk and Merton the writer.